Let me use this first proper post to give you some background on my reasons behind an EV purchase, because I think it might help other “EV potentials” to make sense of an increasingly complex world. I started researching the purchase of an electric car back in October 2014. Lured in by a generous grant of £5000 for ultra-low emission vehicles -courtesy of the UK government- , company car tax incentives and Halle Berry driving an EV in the Sci-Fi series “Extant” (more or less in this order), I soon found myself test driving an i3 at my local BMW dealership. 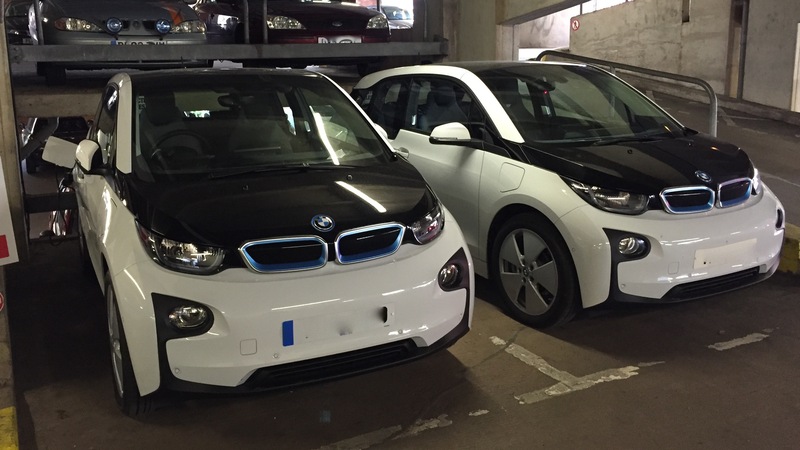 I spent the next 6 weeks comparing mainly 3 cars, which fitted into my budget: the Nissan Leaf, the eGolf and the i3. All 3 of these are brilliant electric vehicles. All have their plusses and minusses and whether you decide for any of these is entirely up to you. My main personal reason which clinched the i3 deal was the fact that it gave me a real feeling of resembling the future. Whilst the Leaf is tried and tested and the eGolf exudes reliability, both appeared to be ordinary cars. However stepping into the i3 -even after almost 3 months of ownership- still fills me with the feeling that I am part of something radically new, an entirely new design. You might call this superficial, but that’s how it is. Driving and motoring consists of at least 50% emotion – this is what floats my boat. At the very beginning of my EV research, I was also driven by the idea that these types of cars will save the planet. To a large degree I still believe this, but electric transport is complex. Manufacturing processes, types of electricity generation and recycling are important factors to be kept in mind. Plus, there are other questions like: “What will happen to the grid if, say, one day half the registered vehicle base is electric?” (Answer: we need to do some rethinking about what “the grid” means in the future!) or “What will happen to all those Lithium-Ion batteries when they’ve come to the end of their lifespan?” (Answer: There needs to be thinking and plans in place to reuse and recycle these, paving the way for new industries). Electric cars are not the ultimate answer and in most cases they throw up more and new challenges. But I truly believe that this technology is heading into the right direction. 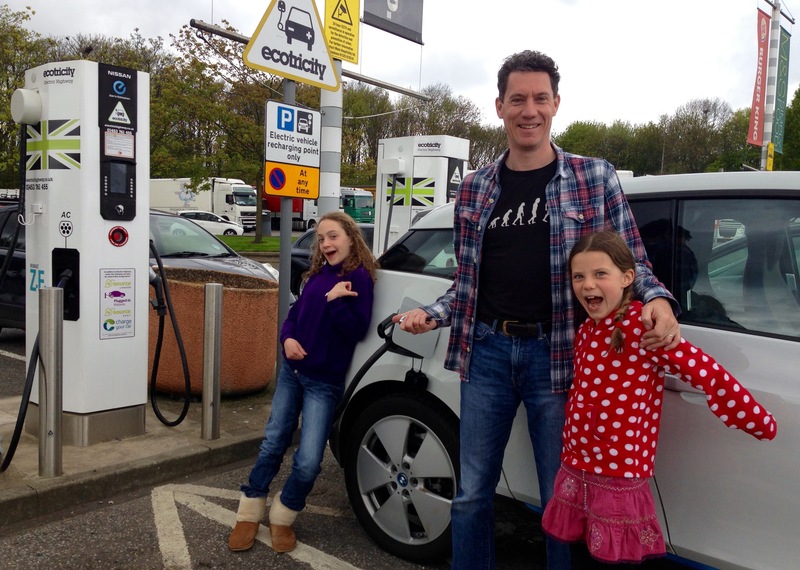 An electric car works amazingly wonderful for someone like us, a family of 4. The i3 is our second car and we live in a rural spot. A daily school run of 6 miles (10 km) and work commute of 30 miles (48 km) is easily done, usually with 55% of charge left. The EV has essentially become our every day car for 80-90% of our journeys and the kids love it. Our other car is a long-range Diesel, which can take us further afield, should we need to go 150 miles or more. Having said that, we still aim to use the EV and make use of various rapid chargers along the way. A recent 124 mile (200 km) trip to Leeds proved to be no problem at all, thanks to Ecotricity’s rapid charging network along the M1, which is currently offered free of charge. Even without a working or available charging network, we could have easily made the distance thanks to the in-built Range Extender (REx), a petrol generator which holds the battery’s state of charge and hence extends the range of the i3 to a total of around 150 miles. The main elating feeling is the pleasure of arriving somewhere by the means of pure electric power. Compared to a conventional car, the ride is quieter, yet very powerful. Conversations whilst driving are transformed and the overall experience is a lot more relaxed. The i3’s cabin feels wide and spacious, which adds to this. I have never been a petrolhead, so driving an electric car fits right into the frame here. Some people I’ve spoken to since our vehicle purchase miss the “vroom, vroom” and criticise that something may be missing. If this describes you then don’t fret: just like there will always be vinyl records, there will always be cars with combustion engines. Let’s face it, traditional cars and hybrids will continue to be around for some time. Whether EVs will become a lasting success, only time will tell. Other fuel technologies (hydrogen fuel cells) might make it in the end. However some people forget that even these types of cars would be electric! 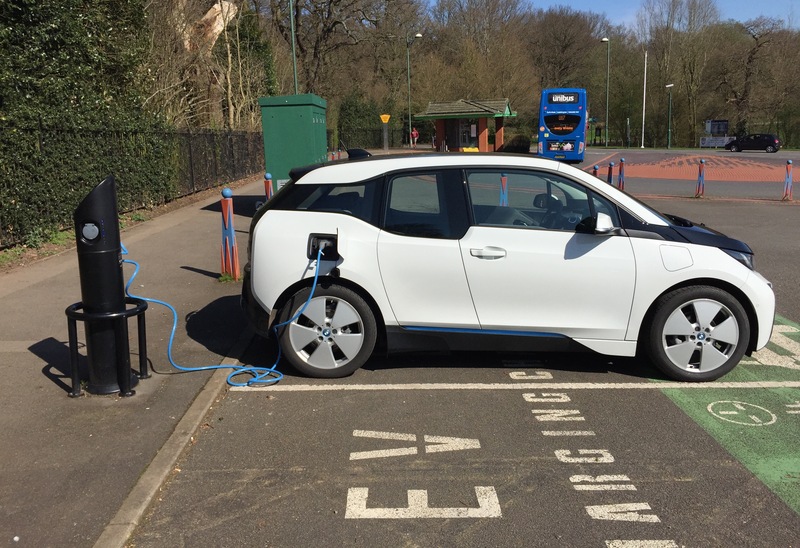 In a usual, tribal way, EV drivers are active on social media and tend to support each other, which can be extremely helpful when discussing driving styles, charge points, off-peak rates and photo-voltaic (PV) systems to make your own “fuel” at home. It can be a great way to explore an entirely new world, but keep in mind that even in 2015 you have to consider yourself an early adopter.